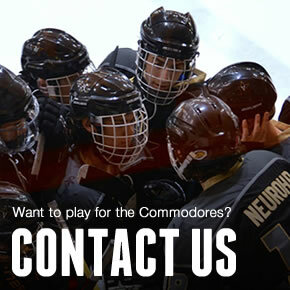 This fall, the Vanderbilt hockey club’s coaching staff will have a new look. After seven seasons behind the bench, Coach Bernstein will be moving on to a new role with the program, one that affords him more time to spend with his wife and two daughters – Sally (22 months) and Maggie (5 months). 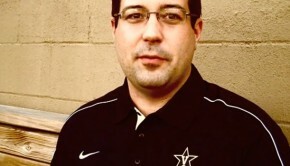 The club will also bid farewell to six-year coaching veteran Jonathan Holston, a key contributor off the ice who donned the Star-V for the Commodores as a player the last two seasons while pursuing his MBA at the Owen School of Management. Coach Holston will be moving to Atlanta to take a role with Price WaterhouseCoopers in the company’s strategy consulting practice. The two coaches will not be disconnecting from the program entirely. Starting this fall, Coach Bernstein will set his sights on founding an alumni board for the team, while Coach Holston will continue to support the club’s student officers with scheduling and other administrative tasks. Asked about the alumni board initiative, Coach Bernstein shared that he’s “always wanted to find a way to better harness the tremendous interest and support from the club’s dedicated alumni.” He explained that the board will be focused on providing players with two specific services: career coaching and job networking guidance. To replenish the coaching staff, club president Daniel Huyler and his executive board drafted job descriptions that they believe will attract the mentors and coaches the club wants moving forward. So far, response to the descriptions has been fantastic. The leadership team will continue to collect resumes through July with the goal of announcing a staff by August 15th. In his announcement to the players, Coach Bernstein shared how this transition will provide every current and incoming player a chance to leave a legacy with both the team and University. 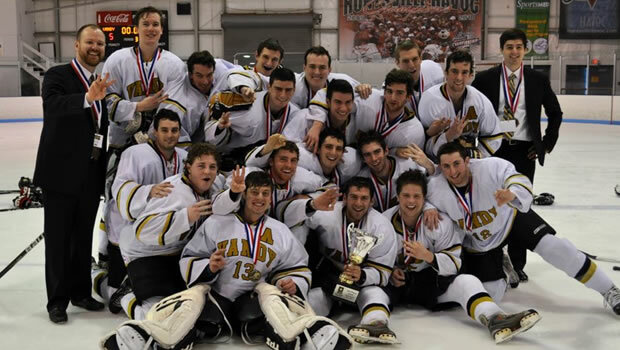 The Vanderbilt Commodores Ice Hockey Club will open its season Friday night, September 22nd, versus Butler at home at the Ford Ice Center in Antioch, TN. Tickets are free and adult beverages are $2 with a college ID. We hope to see you at the rink!